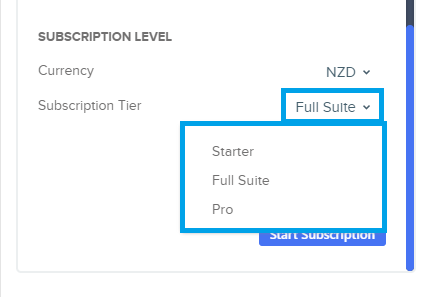 On the Signup for SuiteFiles! 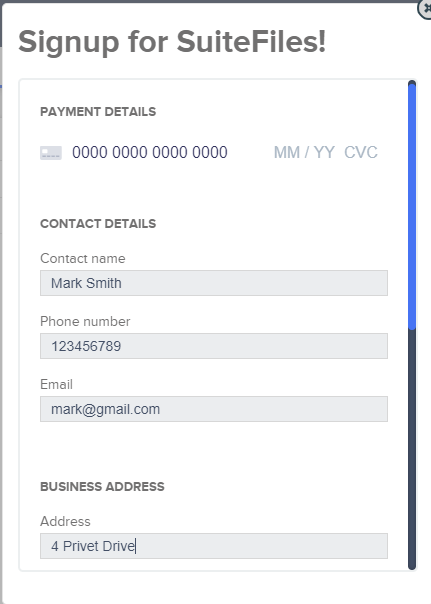 screen, complete your Payment and Contact Details in the fields provided. 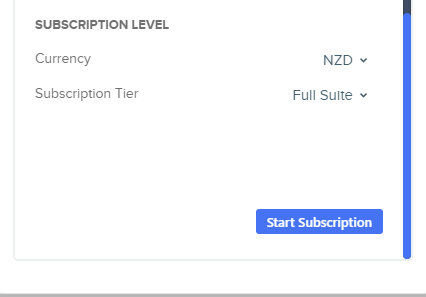 Click Start Subscription to activate your subscription. 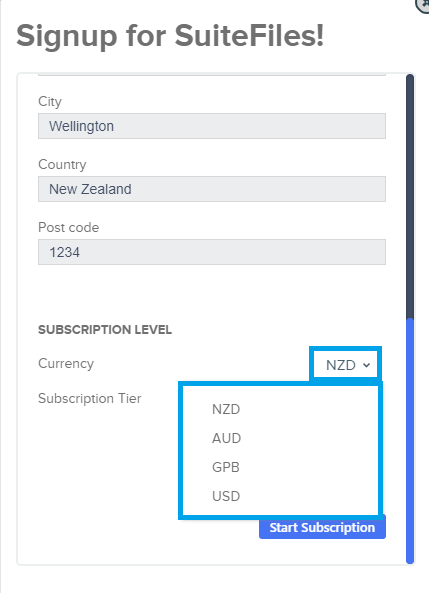 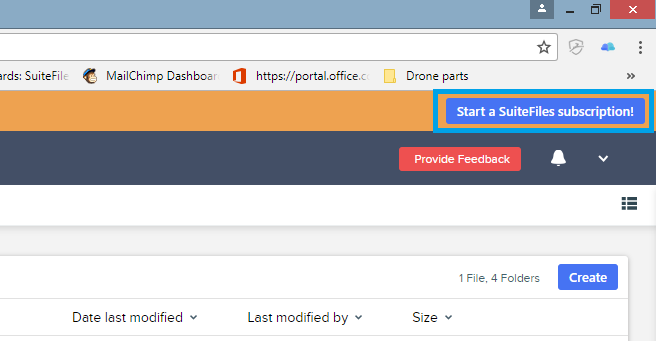 To change your SuiteFiles subscription type, see Changing your subscription type .